A partnership woven together through the hard work of local senior citizens and a savvy business mind set has resulted in R2m being raised for a charity helping hundreds of thousands of vulnerable South Africans. Retailer Clicks partnership with 100% not-for-profit social enterprise The Relate Trust started just four years ago in 2013. The bracelets are so popular with shoppers that 15 000 more have been ordered for stores. When those sell out, 111 900 bracelets will have been bought! Look out for the “Girls on the Go” bracelets in stores and show your support by buying these beautiful bracelets. The Clicks Helping Hand Trust is a registered non-profit organisation that aims to provide health education, awareness and support. They provide free wellness services through the retailer’s clinic network around the country to mothers and babies who wouldn’t otherwise have access to these much-needed resources. They also give free services focused on communicative and non-communicative lifestyle diseases (heart disease, diabetes and HIV) and through their Girls on the Go campaign, they provide re-usable sanitary pads which aims to keep girls in school. Through Clicks’ large retail footprint across the country, Relate has managed to bring essential health services to thousands of people. “At Clicks, we fund causes we believe to be significant in bringing about social change. “We are a company that is passionate about helping others and living our values. Equally, our customers love the Relate bracelets because they are fashionable, meaningful and a great gift for friends and family,” added [Germinah Niyikana, Manager of The Clicks Helping Hand Trust. “With the help of major brands such as Clicks, we are able to reach consumers who enable us to reach out to South Africans who need us most,” says Relate’s CEO Neil Robinson. Relate’s philosophy is that lots of little gestures, such as a relatively small spend at a till point, can add up to make a big change. 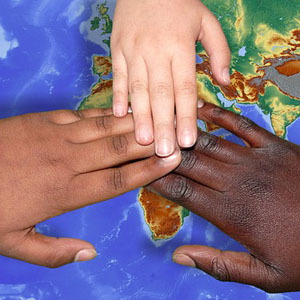 To date, the Relate Trust has raised almost R50 million for over 110 causes globally. This is from the sale of more than 2.6 million bracelets. The Relate Trust is a proudly 100% not-for-profit social enterprise which predominantly sells handmade beaded bracelets to raise money for charities globally, while creating jobs for people in low income communities. In the last three years alone, Relate has raised more than R26million for causes in health, education, conservation, social upliftment, and children’s and women’s empowerment, while raising close to R50million since it became a Trust in 2010. For more information on The Relate Trust, please visit http://www.relate.org.za/.